Have you heard of Powder Surfing, Noboarding, or Powder Surfboarding? Have you heard of Powder Surfing? Depending on who you ask, some call it ‘powder surfing’, others label it ‘noboarding’ and we’ve even heard ‘powder surfboarding’. Whatever you call it, the concept is simple: snowboarding on a board designed to be ridden without bindings. Inspired by skateboarding & surfing, it gives you the opportunity to ride the snow like a frozen wave … binding-less. Talk about pure freedom! So, where did this sport come from? Is it new or ancient? 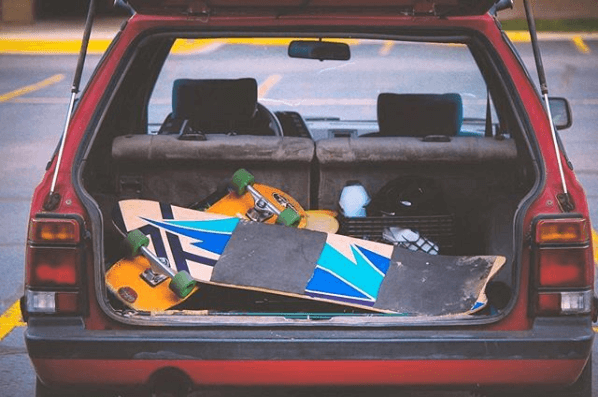 The original precursor to the snowboard known as the snurfer, could technically be considered a ‘noboard’ since it had no bindings. But, it was more like a sled that you stand on and less a powder surfer. The roots trace back even further and can be found in any mountain community across the globe that gets snow. A great example of this is on the island of Japan with true roots of deep powder surfing. With access to so much deep snow, they were able to figure out how to shape their boards and utilize the snow the best way possible. Fast forward to 2017 and there are now a few different companies focused on pushing this sport to the forefront. Similar to their Japanese cohorts, the new focus is on shaping the board in a way that allows you to ride the snow conditions the best way possible, even without powder. 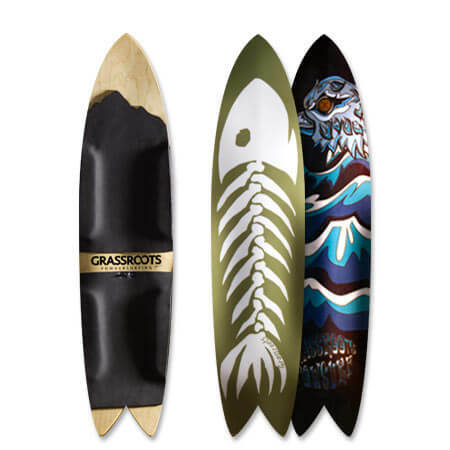 The first and what many consider the best in the deep powder surfboards come from a company called Grassroots, started by Jeremy Jenson. With access to the powder-filled mountains of the Wasatch, Jeremy mixed the cultures of surfing & skateboarding and then applied it to snow. Just like surfboard design, they use 3D contours to make decks that take advantage of those deep legendary snow days. With a concave shape and soft edge similar to a Stand-Up Paddleboard, they float well in deep dry snow and allow you to carve in between evenly spaced trees like a champ! For the rest of us out there that don’t live in places with deep blower pow… the question to ask – “Is a powder surfer even worth it?” Well, the beauty of snow is that until it melts, it’s there for you to enjoy even if it’s just a small hill. When the snow is deep, surf’s up! Go steep! When it’s warm out, stick to little waves and shallow terrain. This is what inspired Syrup Tree Board Company to put out their decks. Their focus is on producing powderboards that work great in any condition at an affordable price. You can slash in crud, slush, or even ‘Old’ pow. Syrup Tree has spent a ton of time researching & designing a board that can ride virtually ANY type of ‘Soft’ snow. If your fist can punch through it, you can ride it! If you’re looking for another sport to get into and enjoy the mountains, this might be it. For us at Local Freshies®, we hope to get on one of these decks this winter and try it out. Until then, let’s keep praying for snow!